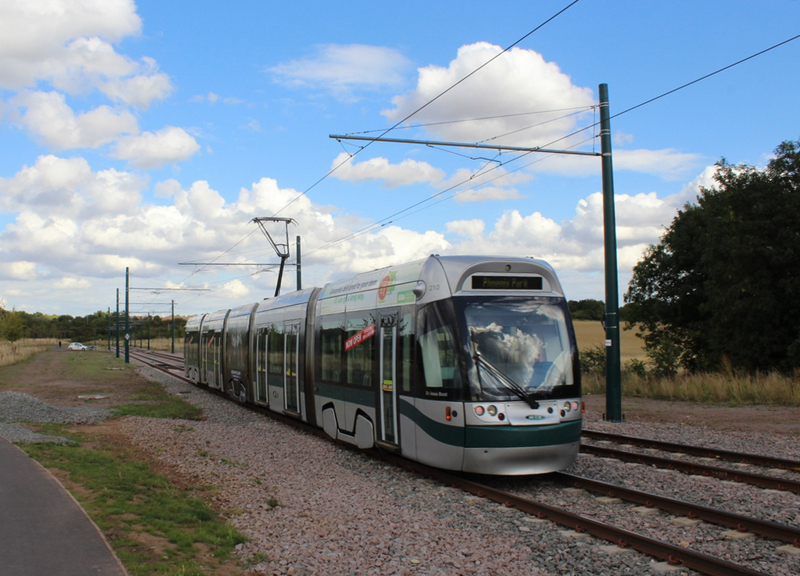 At 6am on Tuesday 25th August the first trams on the new lines to Clifton and Chilwell began passenger service. 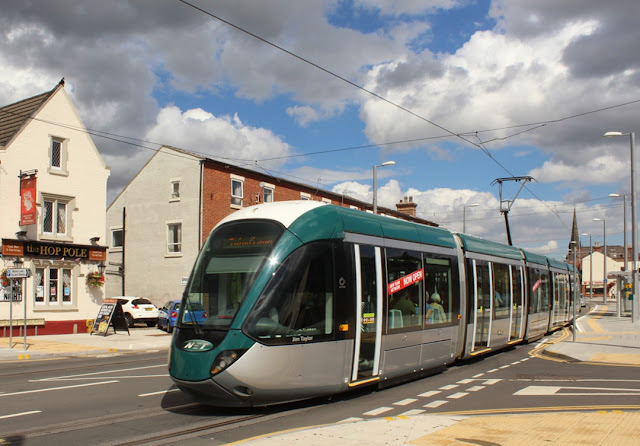 "Last Friday I paid a visit to Nottingham to sample the two tram route extensions, having visited the City some years ago when trams were already running to Phoenix Park and Hucknall. I must say that overall I was very impressed. 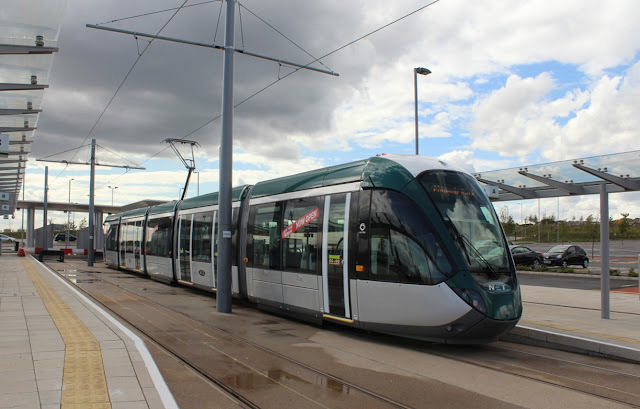 The trams run across Nottingham’s railway station, where they had previously terminated, and go to Toton Lane via Beeston and to Clifton South via Clifton Centre, so interchange between train and tram is very good. The Queens Medical Centre, which appears to be a large hospital is also well served. 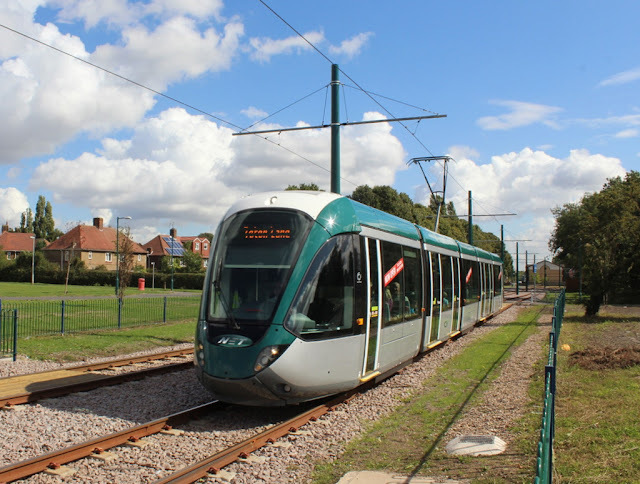 The timetable provides some quite early and late journeys and fares are very reasonable with a £4 tram only day ticket or £4.50 to include bus and train. There are some attractive family, group and evening tickets. As is the case in London with Croydon’s Tramlink, elderly and disabled residents of Nottingham City and Nottinghamshire County receive free travel. I did have a ticket check whilst I was there. There are a number of park and ride sites offering free parking, which clearly helps to keep private cars out of the city centre, something which needs to happen in more of our town and city centres. It is clear that the residents are proud of their new tram services, which run partly on the normal highway and partly on reservations, including through some very rural areas. 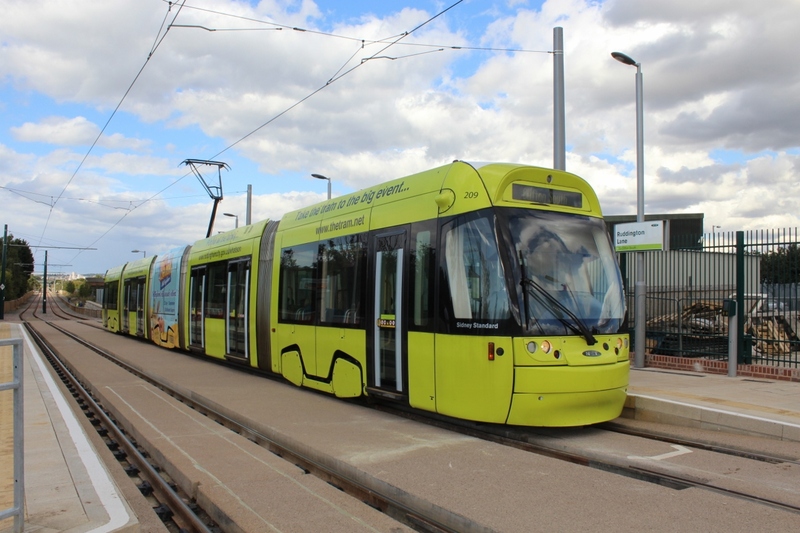 I am quite sure that the children of today will be encouraged to use public transport as they grow into adults and will regard use of the tram as something very ordinary. What can be seen in Nottingham is what people have come to expect on their visits to tram systems abroad. I am not so sure that a guided bus service would have the same “wow” factor and even with articulated vehicles, I doubt that they would carry so many passengers at the same time under the control of one driver. Do people want to have the overhead wires? Well they seem to blend in quite well and in Nottingham the residents have become accustomed to them over many years now. 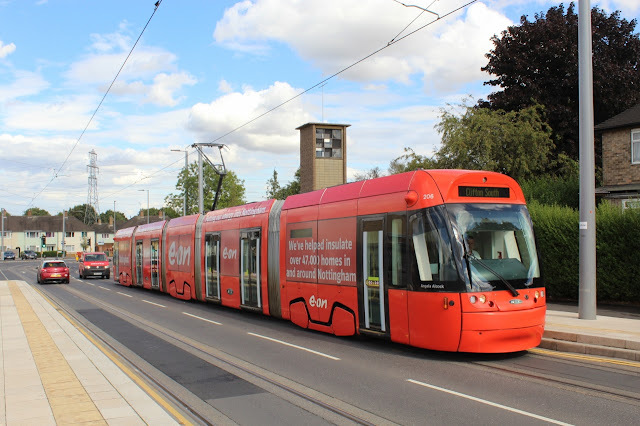 So overhead wires and electrification is not something which should be frowned upon and hopefully there will be a further surge towards tramway operation in this country, together with trolleybuses, which can act as feeders to the trams. A trolleybus system can be built with less disruption than applies to a new tramway."